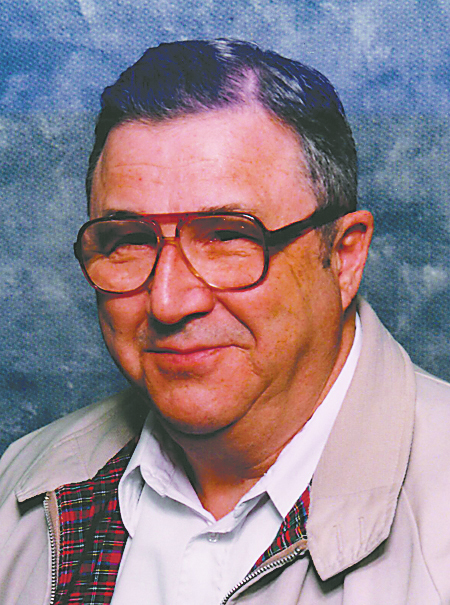 WESTFIELD – Daniel H. Millet, 86, of Westfield, passed away Thursday, April 11, 2019, at home in Westfield. Daniel was a graduate of Westfield Academy and Central School and earned his Associate Degree from Mohawk Valley Community College. He served in the Navy from 1952 to 1954 during the Korean War, and had been employed by the Village of Westfield for many years. Daniel was a member of St. Peters Episcopal Church of Westfield and was a life member of the John W. Roger Post 327 American Legion, and a life member of the Loyal Order of Moose #118, both in Westfield. He was also a life member of the DAV Chapter 47, The Descendant Knights of the Garter & Friends of St. George of Windsor Castle England, the Chautauqua County Historical Society, the Sons of the American Revolution – Erie Chapter, La Societe Des 40 Men & 8 Horses – Voiture 446, a Charter Member of the National Past Chef de Gare Club, and a member of The NY Huguenot Historical Society of New Paltz, NY, the IBEW Local 1124, the AARP and the Mohawk Valley Community College Alumni Assoc. Survivors include his brother, Anthony Militello of Fredonia, NY and his sister, Mary J. Vandette of Dunkirk, NY. Several nieces and nephews also survive. Friends may call from 12:00 p.m. – 1:00 p.m. on Tuesday, April 16, 2019 at the MASON Funeral Home, 37 Clinton St in Westfield. The Funeral Service will be held at 1:00 p.m. Tuesday at the Funeral Home with Rev. Virginia Carr, Rector of St. Peters Episcopal Church officiating. Burial will be private. Memorial contributions in Daniel’s name may be made to St. Peters Episcopal Church, 12 Elm St., Patterson Library, 40 So. Portage St., as well as Westfield Cemetery Assoc., PO Box 507, Chautauqua County Historical Society, PO Box 7, all in Westfield NY 14787.